Entries Open on the 23rd Feb & will close on the 17th May 2019 or sooner if classes are full. Withdrawals: accepted up to 18.00hrs on the closing day. Classes 1A, 2A & 3A £55.00. Classes 1B, 2B & 3B £60.00 all classes are subject to a £1.50 non-refundable booking fee. Rosettes to the highest placed RAPC members. Prizes in kind to third place in each class. If you have any queries over riders that have qualified that are not eligible please email info@horse-events.co.uk and we can investigate further. Be placed in the top 10% of Eligible starters at any 80, 90 or 100 unaffiliated event hosting a Horse Events Qualifier (HEQ) and be eligible under the following criteria. For the 80cm & 90cm No rider to have competed above BE Novice or equivalent in the last three years. For 100cm No rider to have competed above BE Intermediate or equivalent in the last three years. For qualifying competitions the combination must not of been placed 1st, 2nd and 3rd in any ODE 10cm higher than that of the class they are trying to qualify at. At the championships the combination may of previously competed at 10cm higher than that of the qualifying height since qualifying and of been placed. In the event of qualifying for two heights the combination must compete at the championship at the highest height they qualified for. Highest placed individual that is not employed in any equestrian related field and purely is a Hobby rider with only 1 horse. Save for the death or personal injury caused by the negligence of the organisers, or anyone for whom they are in law responsible, neither the organisers of this event or The Pony Club nor any agent, employee or representative of these bodies, nor the landlord or his tenant, accepts any liability for any accident, loss, damage, injury or illness to horses, owners, riders, spectators, land, cars, their contents and accessories, or any other personal property whatsoever, whether caused by their negligence, breach of contract or in any other way whatsoever. Entries are only accepted on this basis. The organisers of this event have taken all reasonable precautions to ensure the health and safety of everyone present at this event. For these measures to be effective, everyone must take all reasonable precautions to avoid and prevent accidents. They must obey the instructions of the organisers and all officials and stewards. 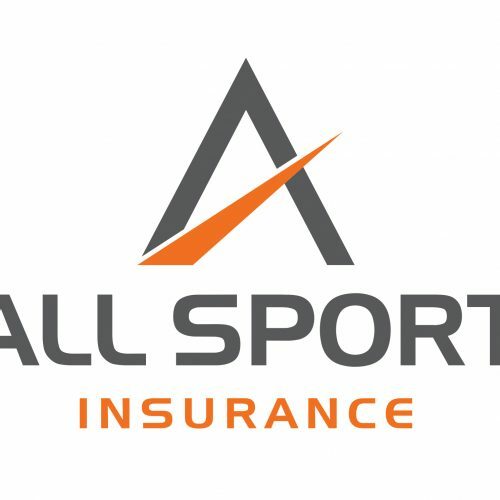 INSURANCE Non Pony Club competitors are not covered by The Pony Club insurance and must have their own third party cover. 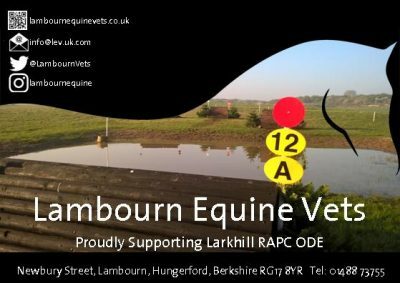 The Royal Artillery Branch of The Pony Club and the organisers of this event are not legally responsible for non Members and their insurance will not cover you. 1. 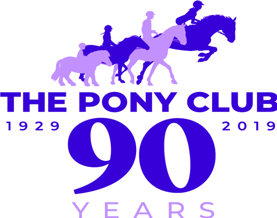 This competition will be run in accordance with the Pony Club Eventing Rules 2019 . All competitors are advised to have a copy of the rules which are available to download from www.pcuk.org A copy will be held by the Secretary on the day of the competition. 2.HATS meeting current Pony Club standards MUST be worn at all times when mounted with chinstrap fastened. All Pony Club members hats must be correctly fitted & tagged with the current aquamarine tag. 5. No ponies less than five years old & no stallions unless with the permission of the event organiser. 6 No refund of entry fee without a Vet’s or Doctor’s certificate & none at all after close of entries. Entries are not transferable. 7 In the event of cancellation, the entry fee less £20 to cover administration costs will be refunded upon receipt of a SAE received by 26th June 2019. 8. The organisers reserve the right to alter classes if necessary & to refuse any entry. 9. Any objections are to be made to the Secretary within 30 minutes of the incident together with a fee of £10 which will be refundable at the discretion of the organisers. 10. No horse/pony may compete more than once. 11. There will be a statutory tack check on all phases,competitors must present themselves to the Steward at least 20 minutes before their start time. 12. No lunging on site at any time. 13. Stop watches are allowed at PC 90 & above. NO Hat Cams to be worn while competing. Failure to comply may result in elimination. 14. At PC90 & above competitors incurring more than 24 jumping penalties in the Show Jumping phase will incur Compulsory Retirement & will not be allowed to go Cross Country, but competitors eliminated for technical reasons (starting before the bell, error of course etc) may do so at the discretion of the Official Steward. but at PC70 & PC80, competitors may be allowed to continue their Cross Country round at the discretion of the Official Steward. 16. Dressage tests may NOT be called. 17. There will be a photographer at this event. It is the responsibility of any individual not wishing to be photographed to notify them directly. 19. No mucking out of horse boxes or trailers onto the parking area. Please clear up loose hay & droppings before leaving. This event is being organised by Royal Artillery Hunt Pony Club. Equine Bookings is acting as the booking agent for this event, enabling you to book online, for which you will be charged a booking fee per space which will be added to your cart. All the fences are built to British Eventing Standards and currently includes a BE80, BE90, BE100 and BE Novice course. The course is available for schooling. In time a separate schooling field will be developed. Due to the location of the course, army training in the area may prohibit schooling at certain times. Therefore set schooling dates are planned throughout the year when we have clearance to use the course. However please note if at any point when you are on the course you are asked to leave by the course manager or a member of miltary personnel we ask you to do so immediately for your own safety. accidents. They must obey the instructions of the organisers and all officials and stewards. non Members and their insurance will not cover you. the Secretary on the day of the competition. fastened. All Pony Club members hats must be correctly fitted & tagged with the current aquamarine tag. of a SAE received by 3rd July 2018.
which will be refundable at the discretion of the organisers. least 20 minutes before their start time. discretion of the Official Steward. photographed to notify them directly.